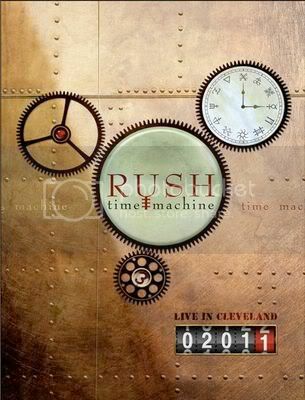 RUSH's Time Machine 2011: Live In Cleveland concert DVD/Blu-ray will be released on Tuesday, October 25th via Concord Records. The show was filmed on April 15th at Quicken Loans Arena in Cleveland, Ohio, and was was filmed by Banger Films, the Toronto based film production company which has produced films such as Metal: A Headbangers' Journey, Global Metal, IRON MAIDEN: Flight 666 and most recently the Rush Documentary: Beyond The Lighted Stage. Rush's setlist at the Cleveland show featured selections from their treasured catalog and the full performance of their legendary Moving Pictures album.